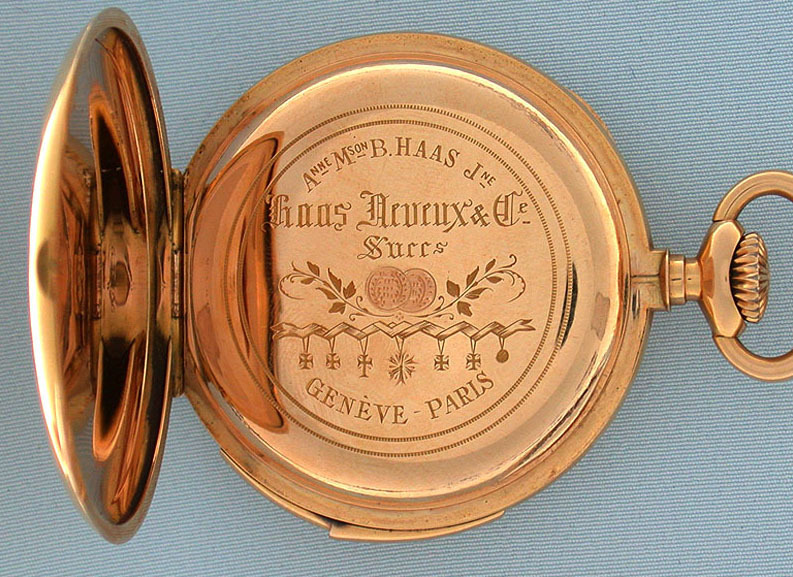 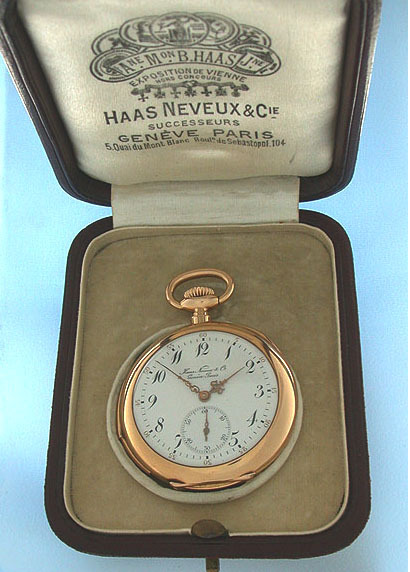 Very fine Haas 18K gold minute repeater with original box circa 1900. 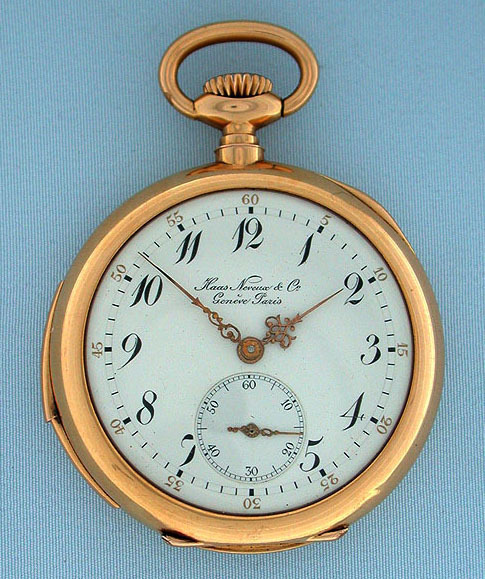 Fine white enamel dial with bold black hour numerals, gold 5-minute markers, and fancy gold hands. 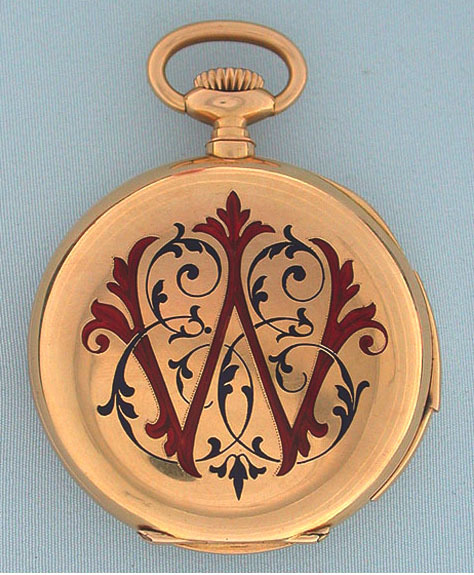 Plain polish case with slide in the band to activate the repeater and beautiful two color enamel monogram. 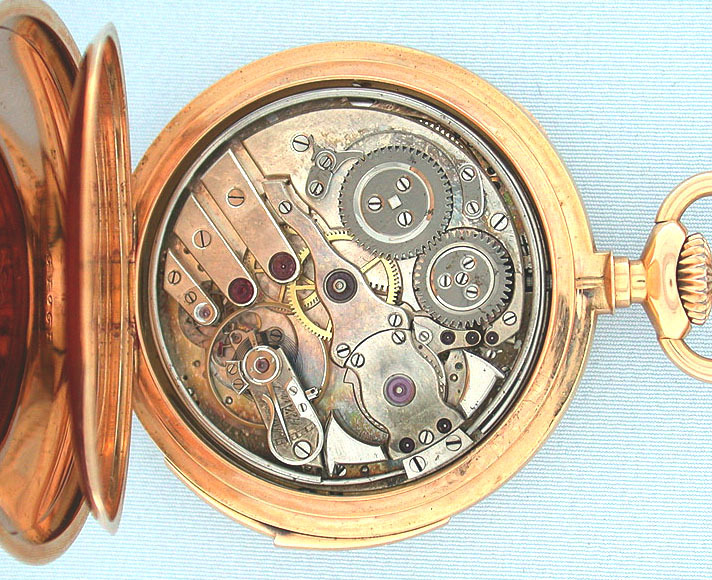 High grade 30 jewel nickel movement jeweled to the center and the hammers.